has disappeared with them! A good reason to re-do the site but it may take a while. Highmead Flirtatious (Llanarth Aristocat/Whalton Delightful/Kilvington Scoundrel). Foals by Hollyland Cranberry and Copybush Chiron. 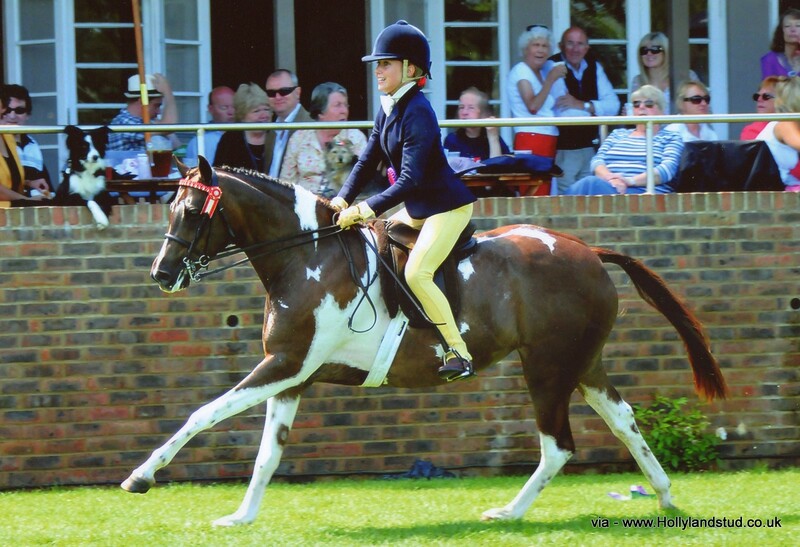 We are always pleased to hear from people with our ponies and their lines. Chrislyn Las Salinas by Stanley Grange Gamestar. NEWS -most recent at the top. Champion at Great Yorkshire Show,2016. Maystar (Small-Land Maytino X Solva Cocktail). Pictured at 4 (just reached) with Sarah Parrott. Above- Hollyland Faytino son, Cilgeti Prince Charming. 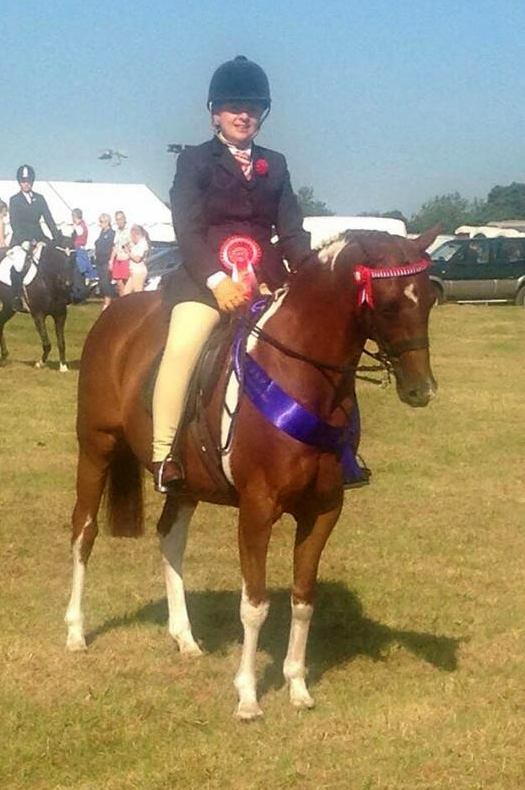 coming second in a strong class of Lead ReinShow Hunter Ponies. 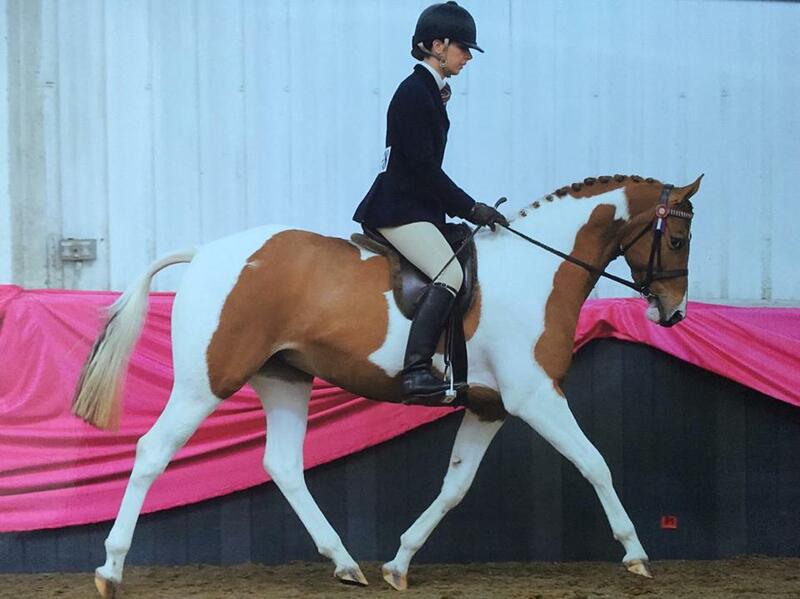 Well done Gemma Hale and Hollyland Maraschino. Gemma's busy life gives little time for showing and yet she wins consistently with Maraschino. 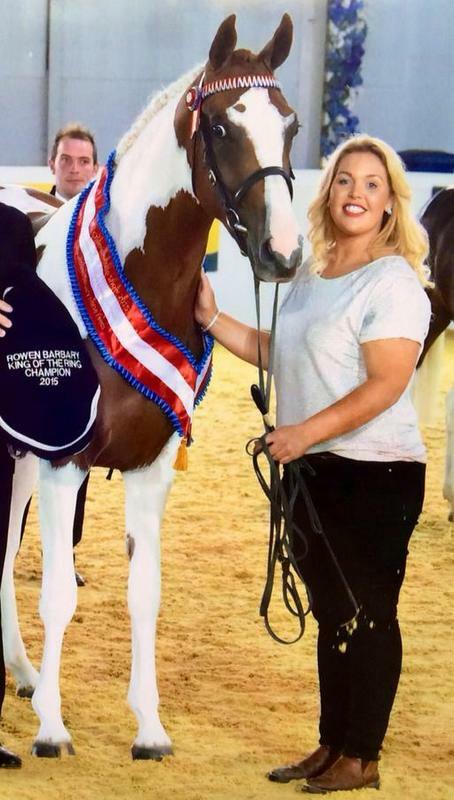 Congratulations to Zoe Bartlet and her home bred Hollyland O'Donovan daughter. 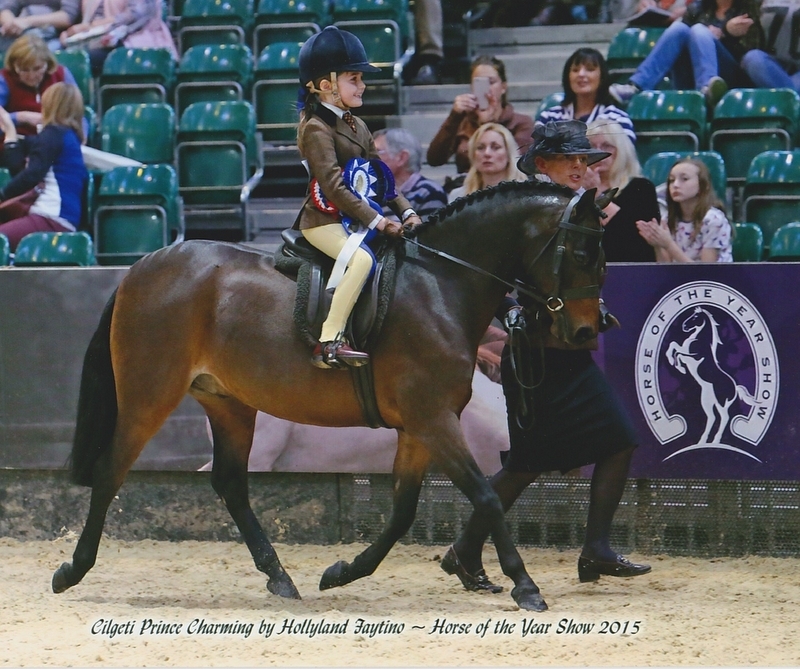 the Regional Shows' Supremes at CHAPS National Show, 2015 -CHAPS 'King of the Ring'. By Donnersohn out of Hollyland Passing Cloud (by Pascal out of Small-Land Mambrino daughter, Solva Cocktail). -is standing at stud with Alaine Francis near Swansea. He is now owned by Melanie Edwards. 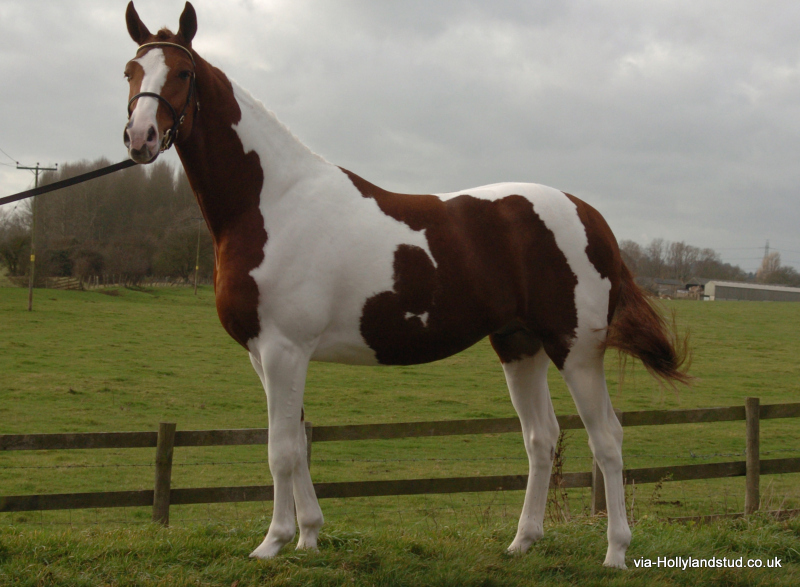 Hollyland Quintessence by Copybush Chiron, out of Copybush Quadrille (by Small-Land Mambrino). This young mare was shown once , at NPS Area28 Show. She won her class, was Champion and In Hand Supreme of the show. is by Chiddock Scooner Bay. 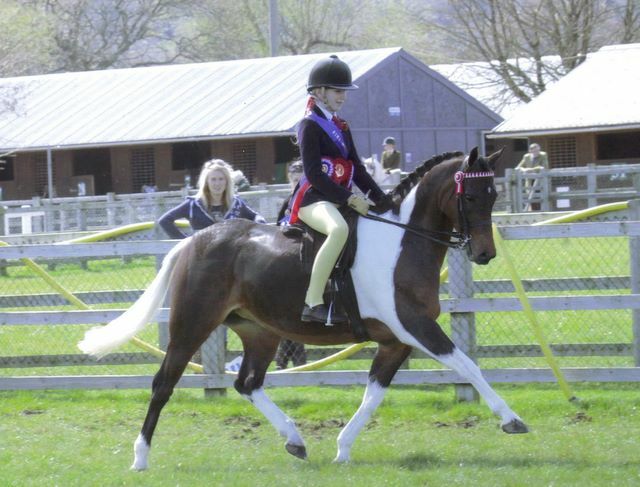 3 year old gelding, here winning at Pembrokeshire County Show. conformation marks in the Non-native Horse Class. 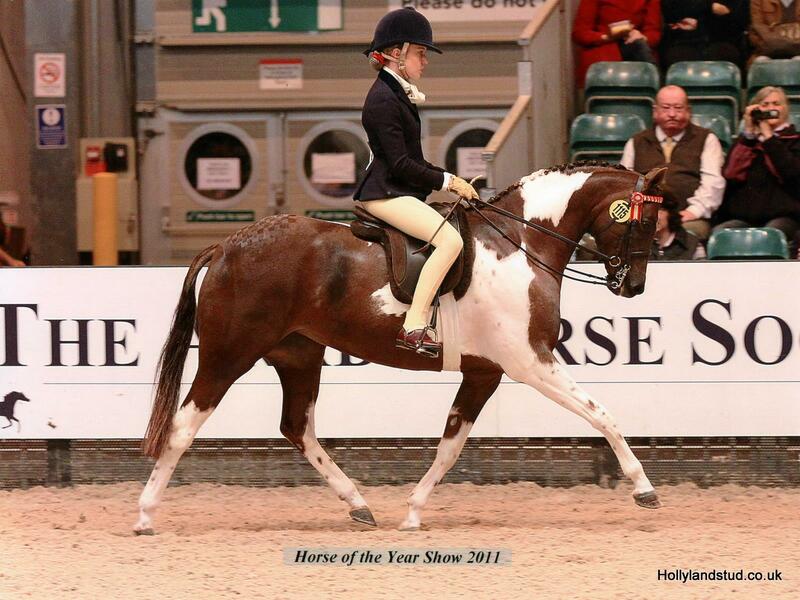 Above-Hollyland Little Egypt-Qualified for 2013 Horse of the Year Show. Ridden here by Carol Charlesworth. Egypt is by Copybush Charlie Whisker, out of Lydstep Lacewing. 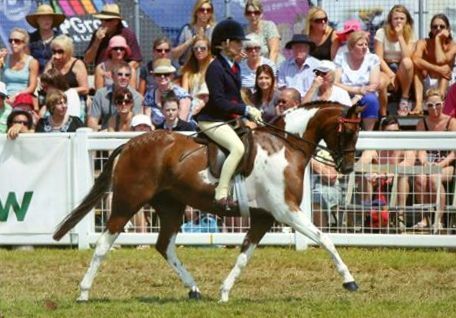 Horse of the Year Show at New Forest Show, early August. Well done to all concerned with producing these ponies so well. Above-Hollowmarsh Oi You, by Copybush Chiron out of Morfabach Faye. qualification on Hollyland Little Egypt. Good to see a few ponies doing well. in WHP for Royal International Horse Show. and won a good Derby Meeting Plaited Coloured Horse or Pony class in the mud. at Midland CHAPS show. 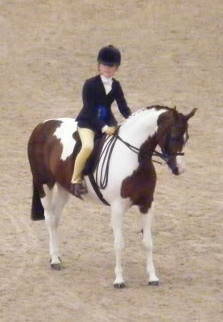 Later gained her HOYS qualification for the second year running. lightly shown, she continues to improve and make her mark. 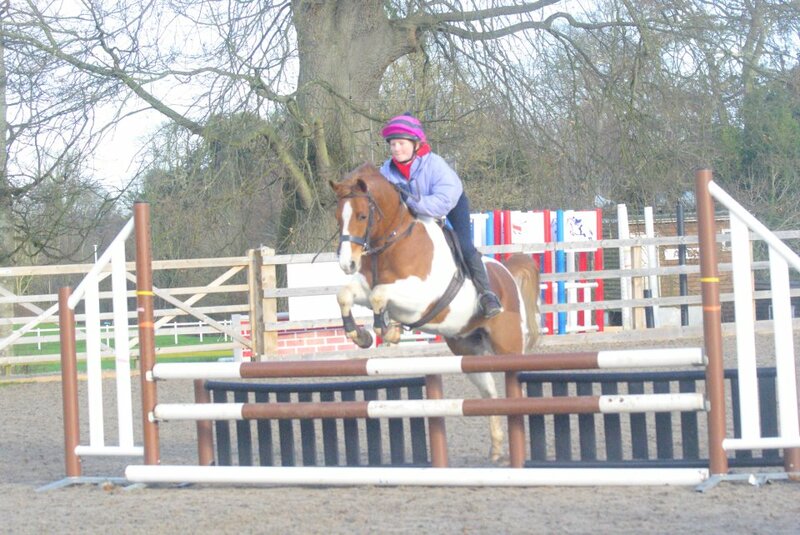 also qualified for RIHS, with Amy Bosomworth. Carmarthenshire and Cardiganshire,The Broteifi Breeders Award. Thank you, National Pony Society, Area 28. 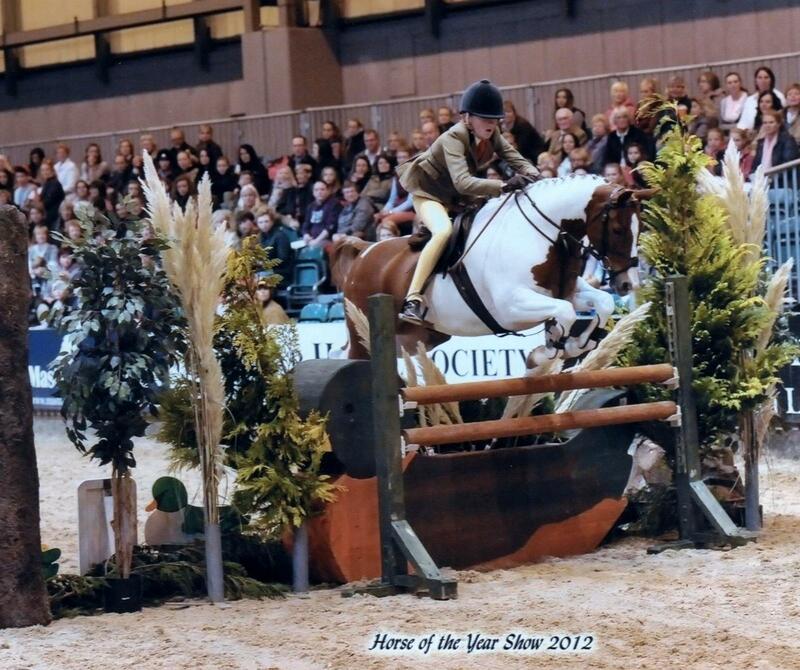 Hollyland Maraschino gained a creditablle third at his first try at a HOYS qualifier. He was beautifully ridden by Gemma James. He is by Hollyland Faytino and out of Solva Cocktail. 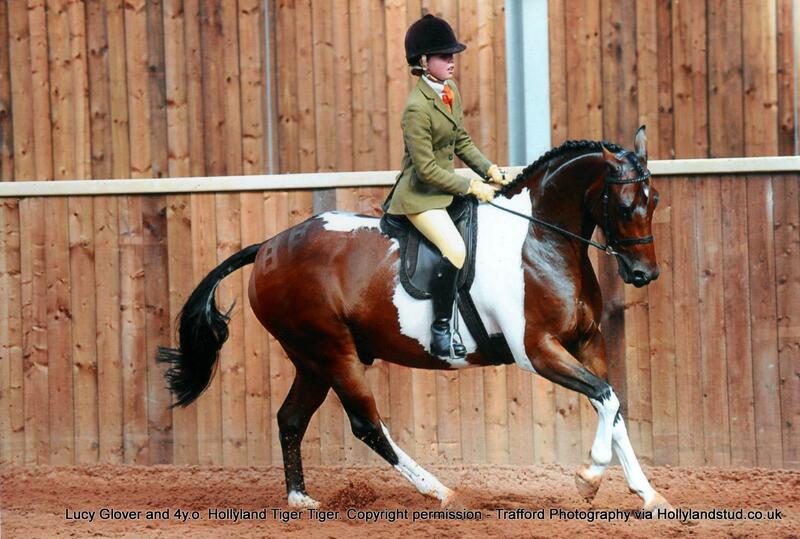 Small-Land Colour Chart,still only 4 yrs, ever improving, won her Horse of the Year Show qualification. Her conformation marks were 49/50 and ride/show mark 45/50 total 94/100. Well done. She is by Hollyland Faytino and out of Small-Land Eternity by Small-Land Extra Time. Small-Land Colour Chart by Hollyland Faytino. 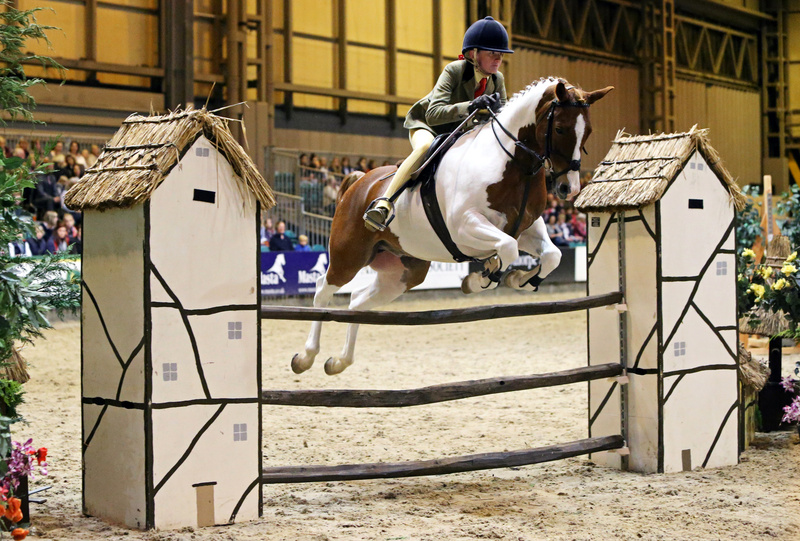 British Equestrian Federation Futurity Awards. Royal International Horse Show, July 2011. Pleased to see offspring of both the largest and smallest we have bred doing really well at RIHS. 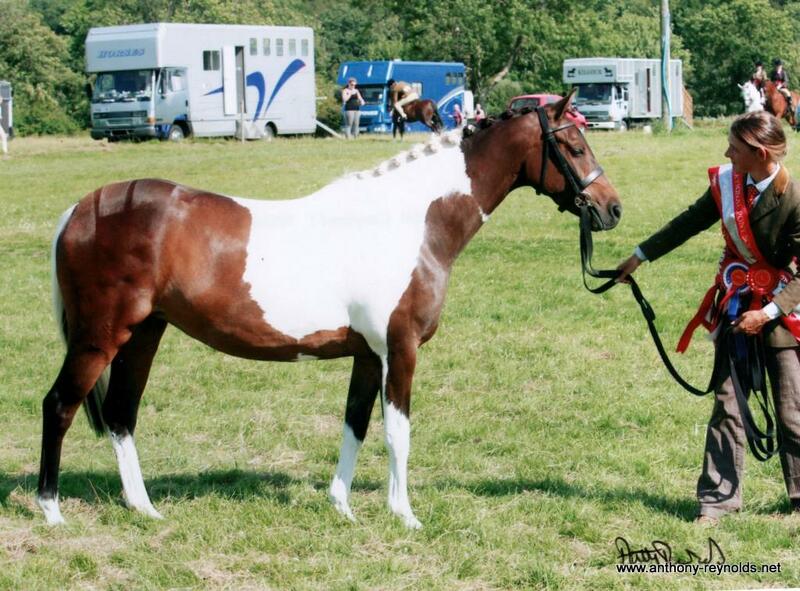 LWS Artful by Hollyland O'Donovan (below)was Supreme coloured out of a huge entry. Copybush Moonsprite (above)by Orielton Magic and out of Hollyland Moonpenny. 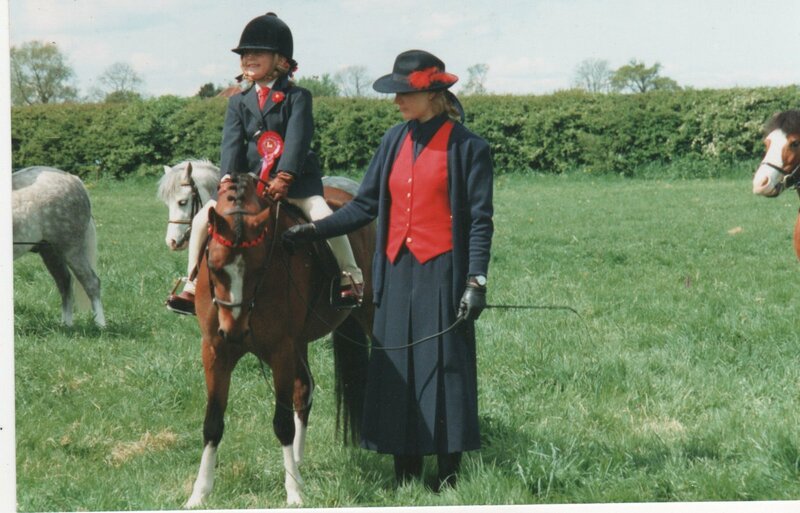 RHIS Home Produced 1st Ridden and Mini Champion. 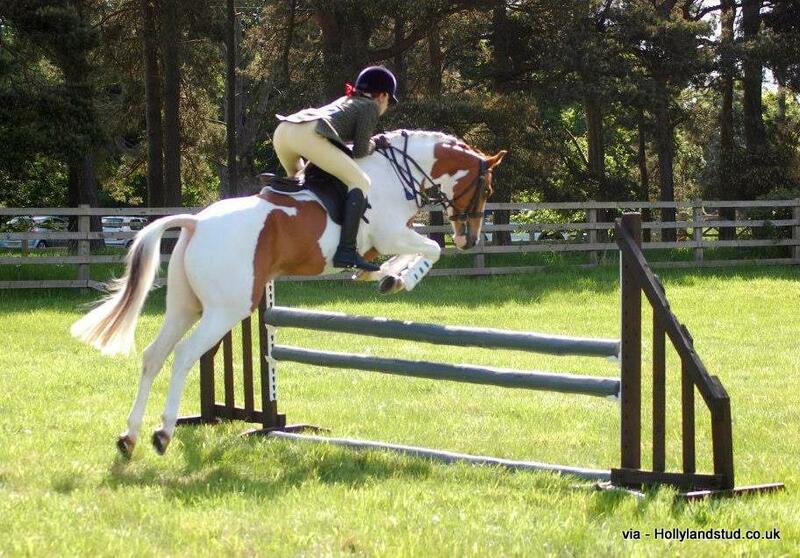 RIHS 2011.
even though she had been out of work for a few weeks. 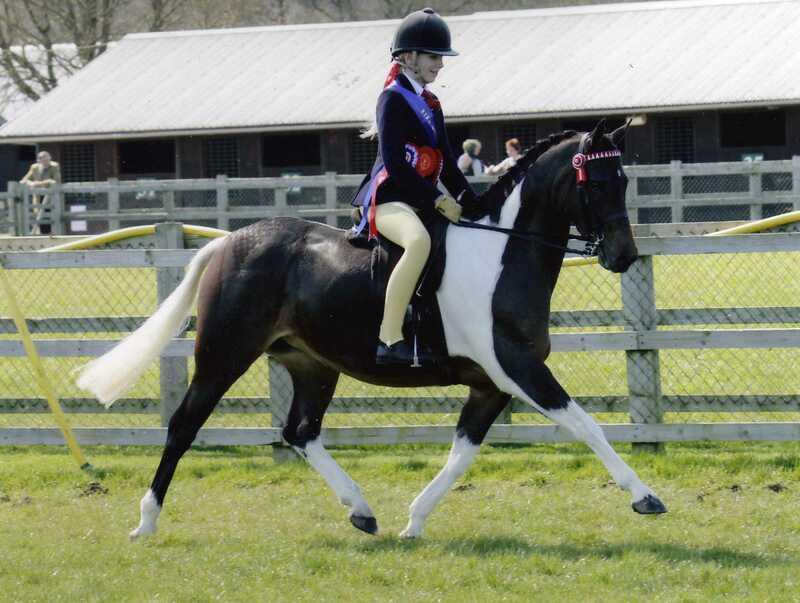 Ever improving, Colour Chart went on to New Forest show where she was 4th in a strong HOYS qualifier. 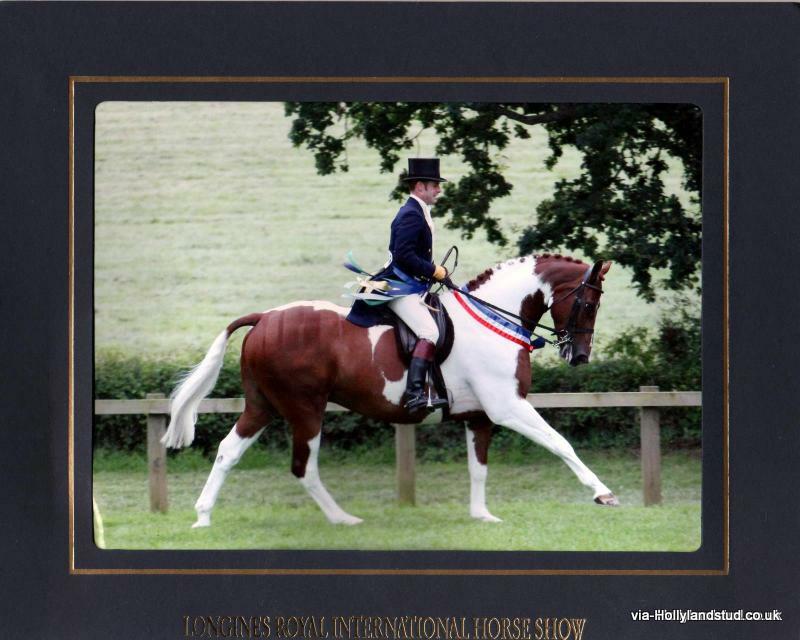 One of our favourite RIHS results was for our homebred gelding, by Hollyland Cranberry and out of Lydstep Lacewing. There were plenty of good ponies below and an entry of 27. 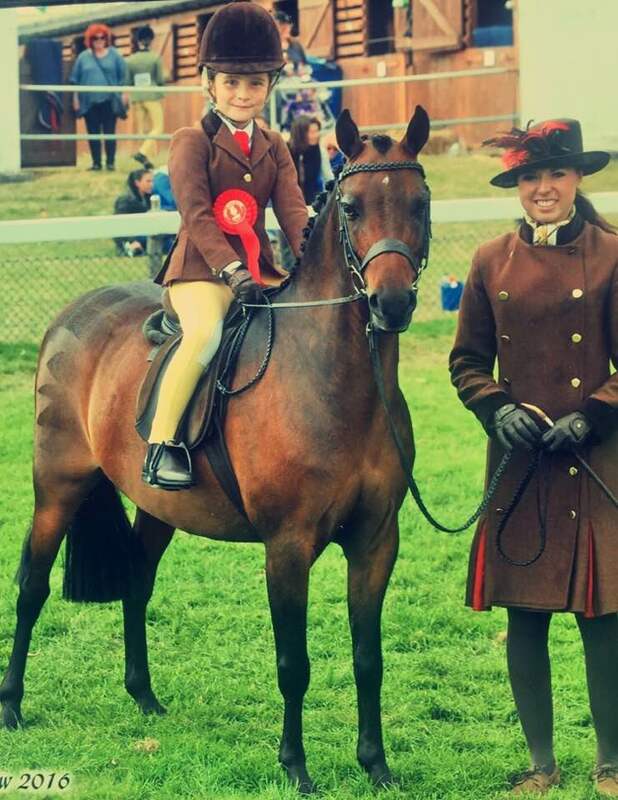 Both the pony and rider India Eaton are in their first season, so a lovely result. They should have an exciting future. Rosemary Rees,breeders of LWS Artful, Copybush Moonsprite and Small-Land Colour Chart. 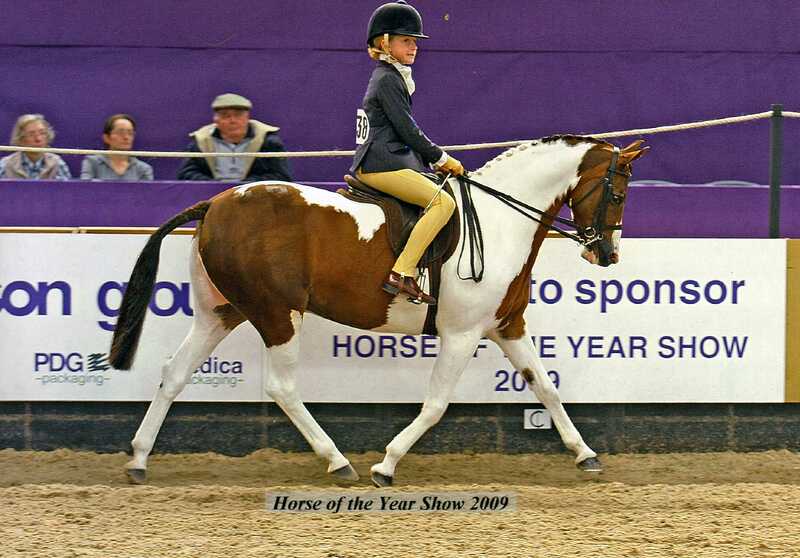 Horse of the Year Show 2010. 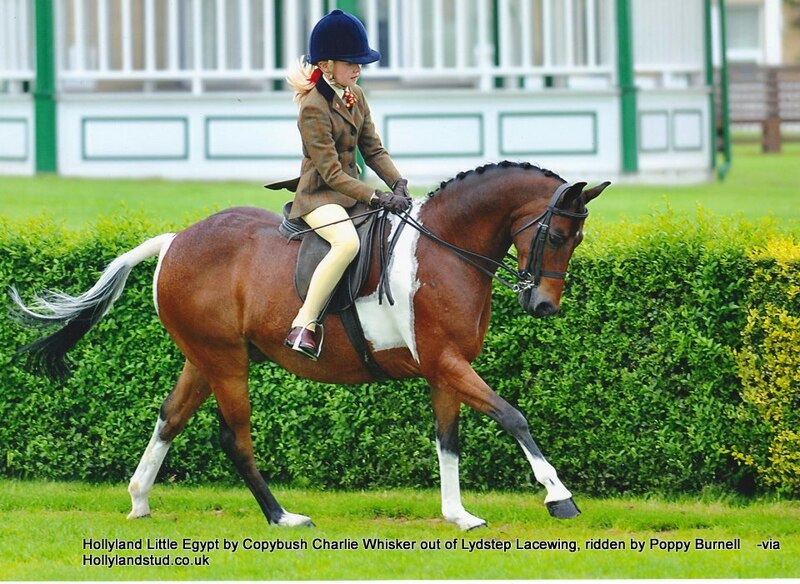 Lovely to see Copybush Moonsprite win the First Ridden and subsequently the Mini Championship this year. Beautifully produced by the Bowen family . Copybush Moonsprite with her dam Hollyland Moonpenny. 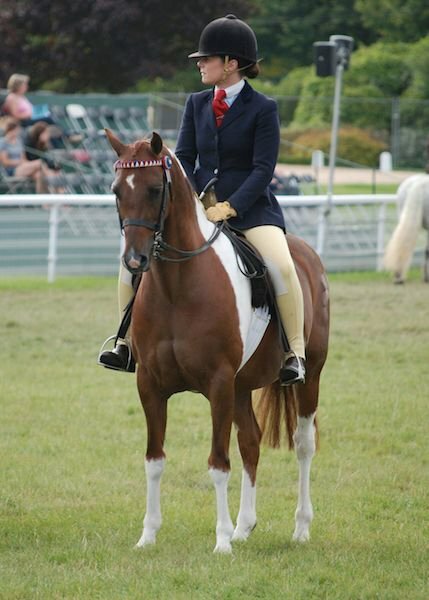 Moonsprite was bred by Sarah Baker from Pembrokeshire , she is out of Hollyland Moonpenny , bred in Pembrokeshire and is by Orielton Magic . Orielton Magic was bred by the Vaughan family, Pembrokeshire and is out of a sister to Orielton Aristocrat X Rhoson Taranaki. Rhoson Taranaki bred by the Davies family, Pembrokeshire. ...and produced to perfection by the Bowen family, Pembrokeshire! Summer 2010. Pembrokeshire County Show. Monknash Moonwalk by Copybush Chiron. 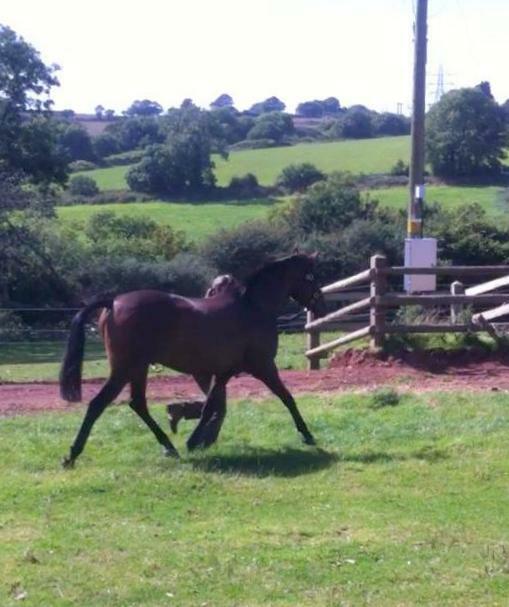 Monknash Moonwalk, 4 year old mare by Copybush Chiron. Owned and bred by Mary Jeffries, produced by Cath and Jonathan Hughes-Jones. Ridden by Jess Nevin. ( 46/50 ride marks and 48/50 conformation marks ). She went on to win the Championship and Supreme of the Show. Congratulations to all concerned. 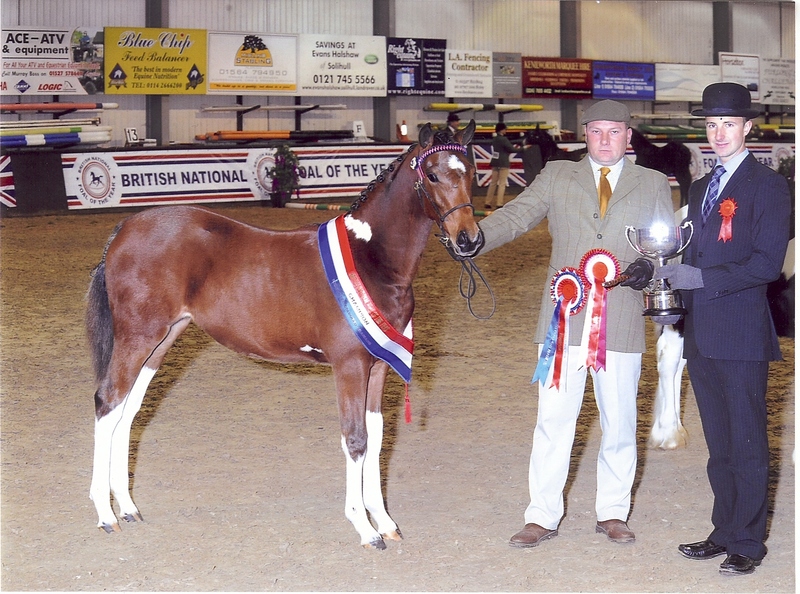 British National Foal of the Year Show November 22nd 2009. Abbeywood Opium by Hollyland Faytino (by Small-land Maytino). Opium was foaled May 2009. 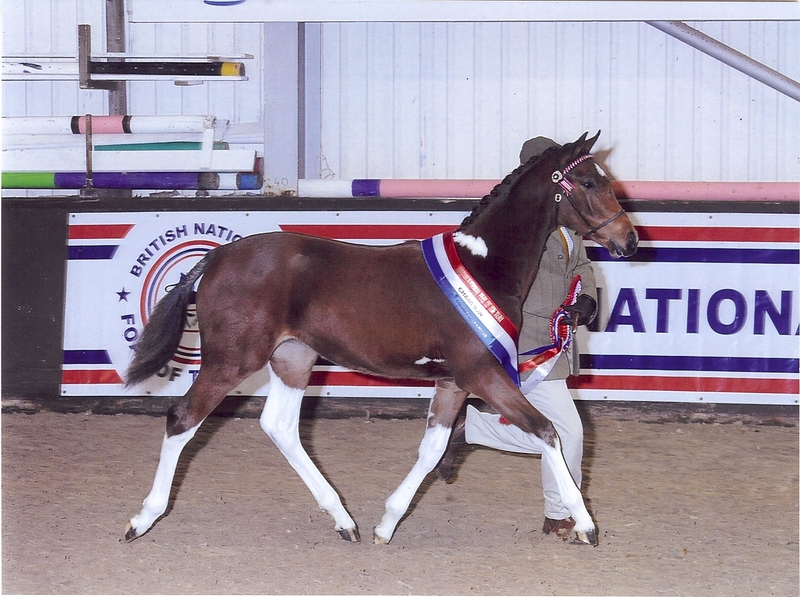 British National Foal of the Year Show. Well done Sheila Harvey her breeder, Clare Merrigan-Martin and team. 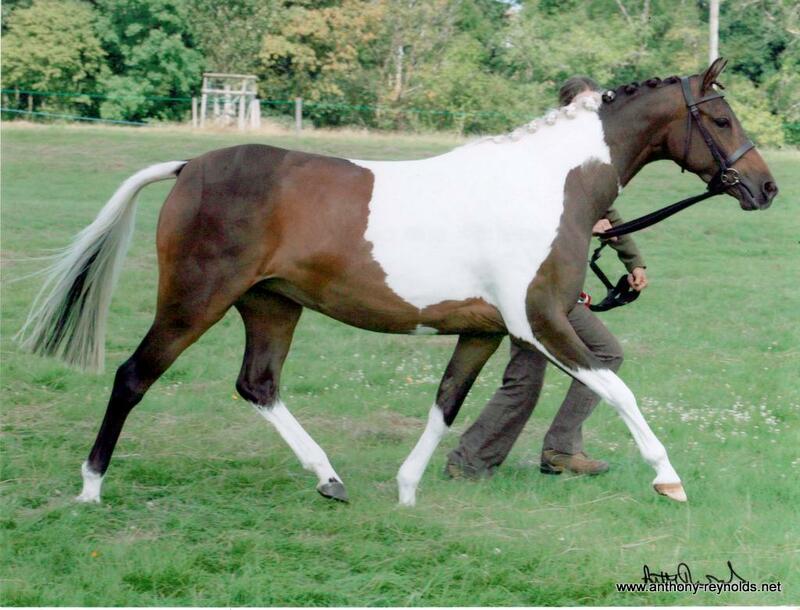 An Appreciation of Beryl Alcock who bred the Solva Ponies will follow.She bred the dam of the father of the pony pictured above aswell as Solva Cocktail. Beryl passed away in December, 2010. We first met Beryl over two decades ago when looking for a quality coloured pony, a rarity in those days. My father kept a lookout and reported that at a local stud there was an exceptional filly foal with a disgruntled owner. Beryl was not fond of coloureds although her homebred broodmare, out of a seemingly grey mother, was clearly that. Beryls mare, Solva Cherie, had produced a series of solid-coloured fillies by Thoroughbred, Angel Aboard. She was back again in hope that the following year there would be less white for Beryl. On finding that the sire of the foal at foot was by the already legendary Small-Land Mambrino,there was no hesitation and Solva Cocktail came to us. This was the beginning of our lasting friendship with Beryl. Beryl bred her ponies thoughtfully and responsibly. She always kept her numbers to a manageable few. Even so, those she bred made their mark. Solva Cherie obligingly produce all fillies for Beryl, including Solva Seraph,by Angel Aboard and her sisters Angelica and Saintly. Solva Saintly (the redeeming filly ) remains at Levant Stud with Evadne Cosgrove. Solva Cocktail deserves a chapter to herself. We owe Cocktail nothing and remain ever grateful that Beryl allowed us to buy her. With us, Cherie bred Hollyland Chirico, Hollyland Heaven Can Wait (so called because we thought he would be her last foal) and then Hollyland Strawberry Hill. 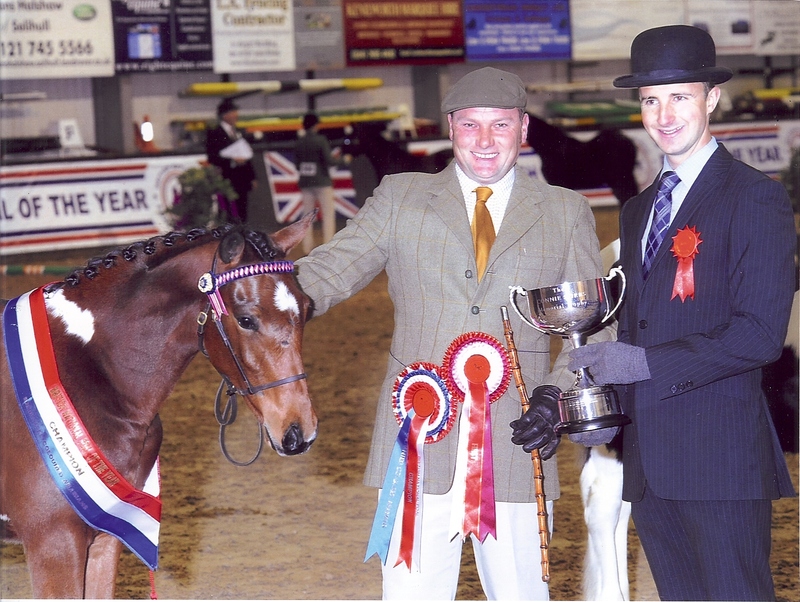 H. Heaven Can Wait had two coverings before being gelded and sired 2009 Horse of the Year Show reserve overall Champion coloured, Brookfarm Heaven Scent. 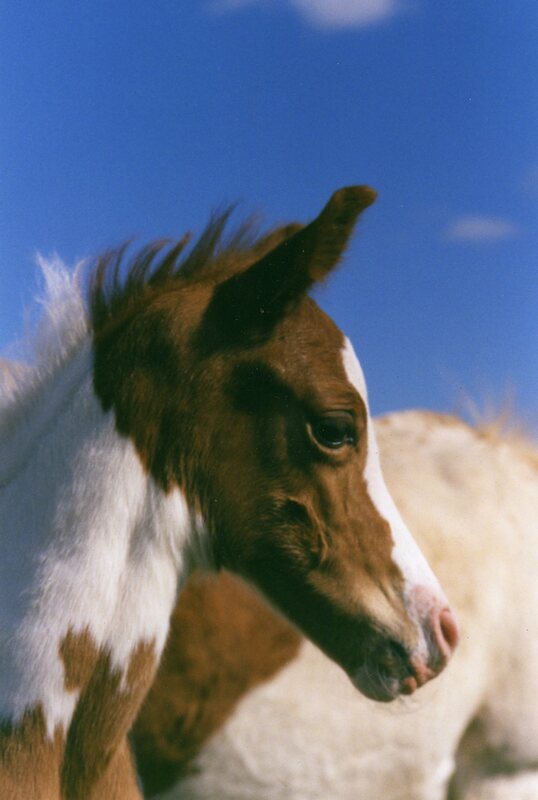 The last foal Beryl bred was from an exquisite small Arab mare. 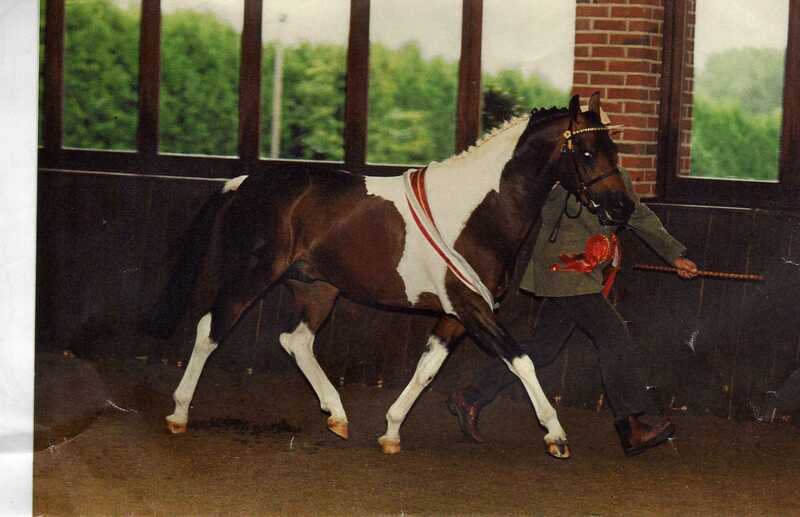 The pure bred Arab filly foal was called Solva Swingboat. Beryl hand reared this foal as she sadly lost the mare. Swingboat would be a teenager by now. It would be good to hear of her. We kept in touch over the years with visits, pictures and cards.Our friendship was valued greatly Beryl was in her nineties when she passed away at the end of 2010. She was a lovely friend and will be much missed.